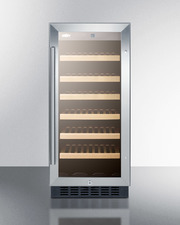 SUMMIT’s SWC525L7 commercial series features wine cellars with unique 20" footprints designed for freestanding use. The ETL-S listed SWC525L7HH is a counter height wine cellar with a glass door and professional horizontally mounted handle in stainless steel. 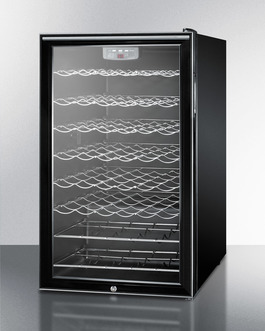 A factory installed lock offers dependable security and the fully finished jet black cabinet allows this 20" wide unit to be used freestanding. 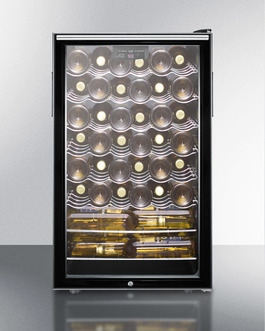 The auto defrost interior features adjustable scalloped shelves to hold wine bottles and a digital thermostat that allows easy management of your reds, whites, and champagnes. 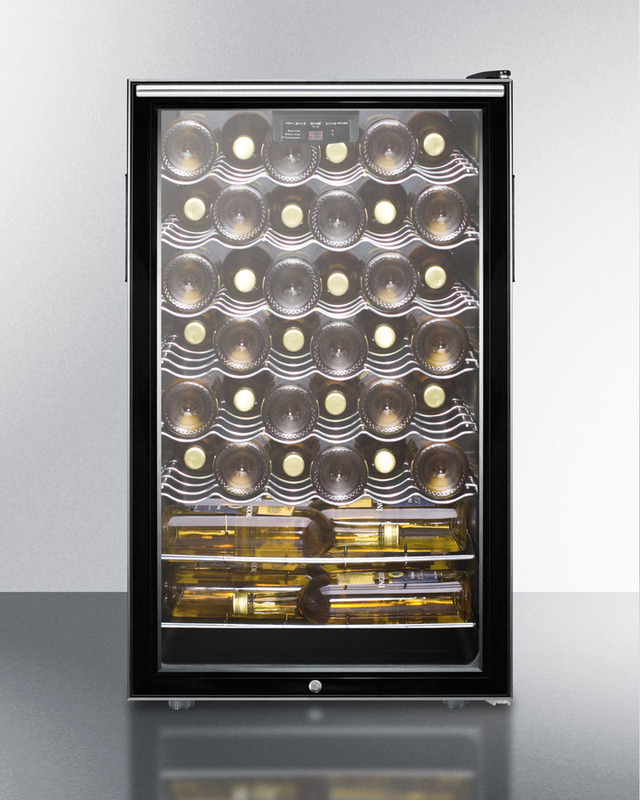 With a slim-fitting footprint and an elegant design, the SWC525L7HH is ideal for any commercial setting looking for an affordable way to store and display a wine collection. 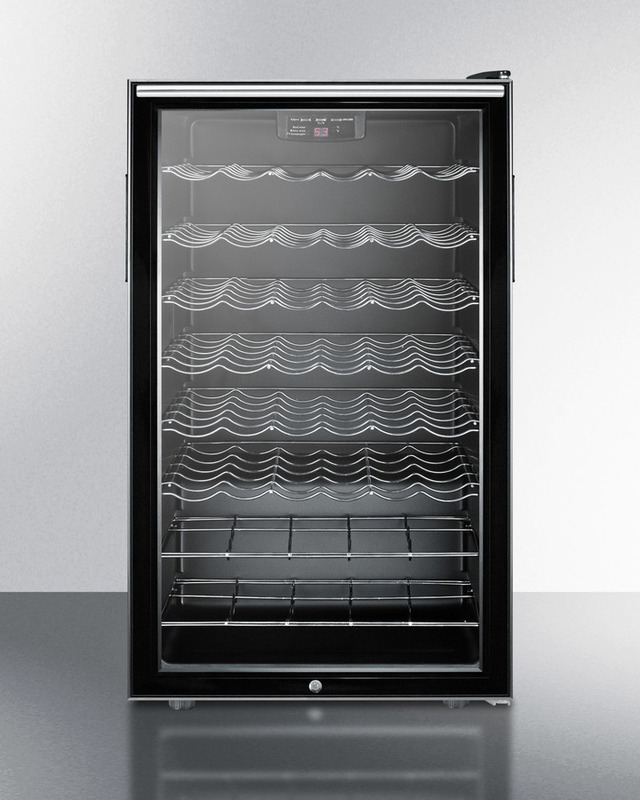 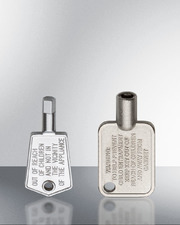 For a built-in version of this model, see the SWC525LBI7 series.